Balkan countries have been through a lot in the last few decades, from violet regime changes to wars and natural catastrophes like earthquakes and floods. This took quite a toll on their capitals as well. In addition, the poor economic situation had prevented governments from investing and rebuilding most Balkan capitals. Luckily, we are seeing a lot of changes lately, with new investments and modern construction solutions we are currently witnessing the rise of new and modern European capitals all over the Balkan region. The capital of Bosnia and Herzegovina was left in ruins after the Bosnian war in the nineties, and it had stayed like that for quite a while. But now we are seeing a positive change and reconstruction taking place all over the city. There has been a great urban transformation in the last decade, starting from the city squares and spreading to residential and office buildings, a lot of which have been neglected for a long time. The Sarajevo city landscape is changing and making room for the creation of a modern European metropolis. With the largest construction project being the Sarajevo City Center, financed by a Saudi business named Al Shiddi, the center opened in March 2014. It boasts 49 500 square meters of shopping, leisure and office space and attracts visitors from all over Bosnia and neighbouring countries. Serbian capital has been a favourite tourist attraction for numerous reasons, and it has even been voted one of the ‘Best Destinations’ in the world. 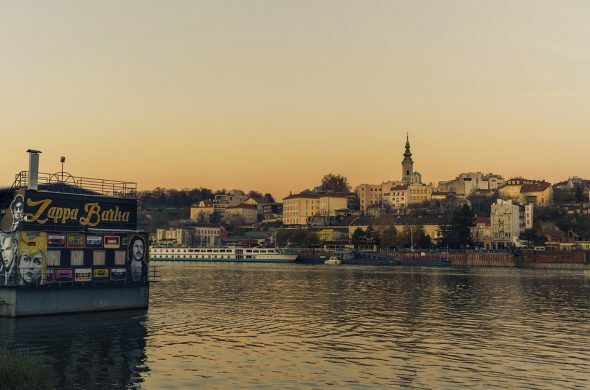 Soon it will have a completely new attraction – Belgrade Waterfront. This 3 billion new hub developed by Eagle Hills is covering 1.8 million square metres, and is located on the banks of the great Sava river. The importance of Belgrade Waterfront project is in its impact on the society. It will invigorate the city, offering beautiful residential and office spaces and will help Belgrade become one of the most important shopping destinations in the Balkans. And, let’s not forget the pièce de résistance, the stunning tower rising above the entire project offering breathtaking views to its future residents. Unlike Belgrade and Sarajevo that have decided to opt for modernisation of the city landscape. The Macedonian government wanted to create a more antique look for Skoplje. The capital of Macedonia has transformed its center with over 130 structures, including sculptures and statues along with new museums and a triumphal arch. They also decided to go with numerous different architectural styles from baroque to neoclassicism. The idea behind all of this comes from the desire to provide Macedonia’s a new sense of national pride. The change is quite welcome given the years of neglect that the Macedonian capital has endured. These are just some of the constructional changes affecting the Balkans. Apart from giving theses historic capital a new and modern look, a lot has been invested in the infrastructure and into providing its citizens with far better living conditions.